Leading with a roundup of some of the new features in Postgres 9.5, this post leads to an interesting demo where you can create a temporary instance of Postgres 9.5 in the cloud to play with for an hour. If you’ve been living under a rock, you may have missed that Postgres supports JSON. But even if you’re aware you may not have given it a try. Boiled down in a single post here’s the overview, the how to, and some of the more advanced things you need to know about using it all with awesome examples. 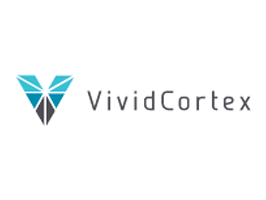 VividCortex is the easiest, safest, and most detailed way to monitor PostgreSQL. Unlike other tools that just capture a few status metrics, VividCortex measures every query, every process, and every metric on your entire system, down to the microsecond to improve performance. pg_shard is an open source extension from Citus Data to make sharding your data easier. Here’s a rundown of getting it up and running to help you scale on Amazon’s RDS. PostgreSQL 9.5 is coming up with a new feature aimed at simplifying tracking of GUC parameters when those are set in a multiple set of files by introducing a new system view called pg_file_settings. While the comparison to Sybase may be a bit of a dated example, transactional DDL is still one thing that Postgres has that so many other databases lack. Without transactional DDL you suddenly have much more to worry about when running DB migrations, here’s an overview with some of the edge cases without it. Views are a way to represent the results of a query as a table, and materialized views actually create that data versus just running a query each time. They’re a great way to cache aggregate data when running an expensive query over time. Enumerated types can be extremely handy in your application, and there’s no reason they can’t map directly to your database. Understand more on how to do it directly with ActiveRecord here. Open source and a work in progress. Namely is an agile startup dedicated to building an end-to-end HR platform for businesses of all sizes. We’re looking for a skilled developer to contribute ideas, innovation, solutions and code to our product.